The movie Agent 47: trailer, clips, photos, soundtrack, news and much more! Update – Paul Walker died. The role has been taken over by Rupert Friend (from Homeland). Actor Paul Walker, who plays the role of Brian in the Fast and Furious franchise, is set to have the lead role in Agent 47, a reboot of Hitman, the action thriller based on the popular videogame. Filming should start sometime this Summer in Berlin and Singapore. They’re waiting for Paul Walker to complete his global press tour for Fast and Furious 6, so they can shave his head. No word about the plot and the director hasn’t been announced yet. Do you agree with Fox’ decision to reboot Hitman or would you rather have a sequel to the first film? 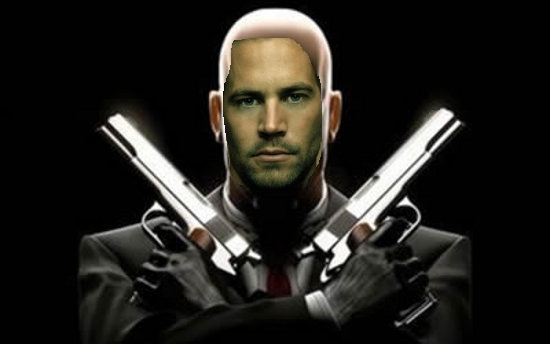 Do you think Paul Walker is fit to play the role of Agent 47? Or do you miss Timothy Olyphant? Well, share your thoughts below!